Free Spirit in the Wild! Join Spirit is Calling and its Spiritual Leadership on a amazing spiritual adventure into the wild Alaskan territory. 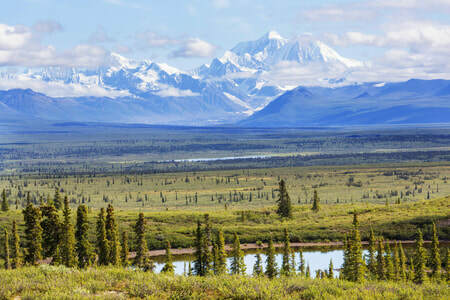 Alaska is a place like no other. The mountains and glaciers are beyond stunning: each time you step outside you are greeted once again by the magistracy of nature all around you. This may sound like hyperbole, but it is not at all. Nature reins supreme here and you are reminded of it daily. You can feel the sacredness of the land, and although the roads and trains and infrastructure are first rate, you cannot forget how dynamic and healing the earth is everywhere you go. 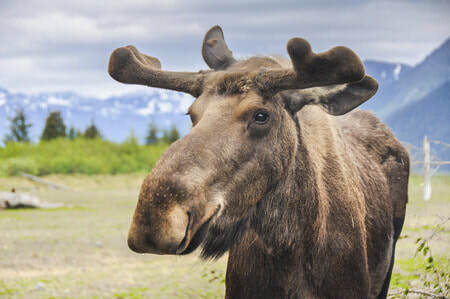 Anchorage alone has over 1000 moose within the city limits. Traffic often comes to a stop as a momma moose and her offspring cross the 3 lane roads to eat grass on the other side. The top of your head may not even reach the top of her back: it’s hard to get over just how big theses animals really are! Walking is one of the best modes of transport. Even in the parks in Anchorage you can see moose grazing, bald eagles are abundant and the occasional bear is not unheard of. That we have such a treasure here in the US is something we can be thankful for. Come join us as we explore the sacred nature and amazing adventure of this special place! Day 1 Saturday May 25 Fly into Anchorage and check into a hotel. Meet the staff and the rest of the group. If time permits we will visit the Alaskan Native Heritage Center. Day 2 Sunday May 26. Breakfast and group meditation. Transfer to train station for our journey on the Alaska Railroad to Seward. View the wild scenery from the comfort of your cabin. Day 3 Monday May 27: Breakfast and group meditation. 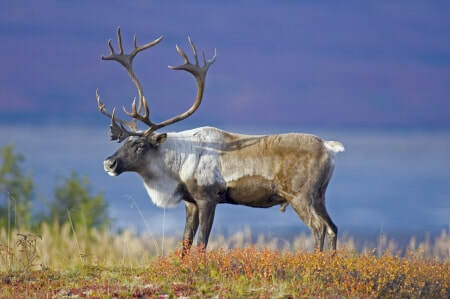 Depart for our day adventure: Orca whales quest Cruise about 4 hours. Snacks and drinks for purchase on board. Return to Hotel. Free time until evening group meditation. Day 4 Tuesday May 28: Breakfast and group Meditation. 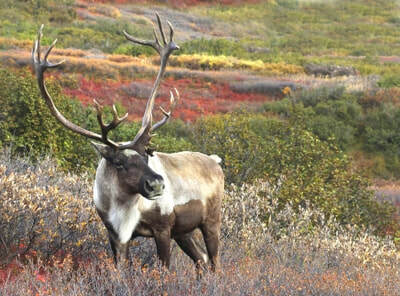 Depart for Nat’l Park Cruise – a full day adventure to view glacier and wildlife – Buffet lunch included. Return to Seward for our last night in our hotel. Group Meditation and free evening. Day 6 Thursday May 30: Breakfast and group meditation. Optional activities will be offered or free time until our evening group meditation. Day 7 Friday May 31: Breakfast and group meditation. Transfer to train station to our next destination Denali. Check into our hotel. Day 8 - Saturday June 1: Breakfast and group meditation. : Breakfast and group meditation – Depart by bus for Denali Park - Tundra Wilderness Tour 7-8 hours. Return to hotel – Free evening. Day 10 Monday June 3 Breakfast and final group meditation and farewell – Shuttle back to airport. Lodging May 25 - June 3 – double occupancy *, all breakfasts, some lunches on day trip (see itinerary), group meditations, healings and readings. All side trips unless marked as “optional” in which case an extra cost will apply (see itinerary for the extra cost) – Transfers from hotels to train or bus and all transports. *Single occupancy available at extra cost about $1000. Some tips: hotel porters and side trips guides and boat crew. Lunch and dinners unless noted in itinerary. Air to Alaska and back. Optional side trips and transfers to those. Breakfast in Denali not included. Additional $50 discount if paid by check or cash. Full Contribution must be paid in full by March 1, 2019.